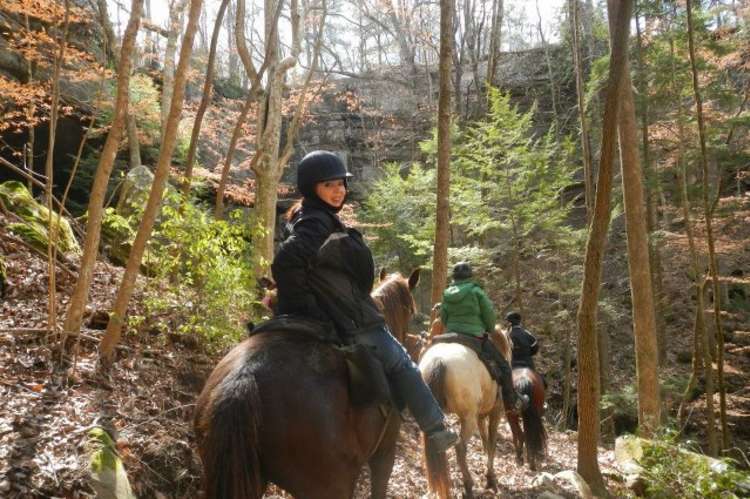 Rock Bridge Canyon Equestrian Park is a campground that caters to the needs of horseback riders and nature enthusiasts, but all campers are welcome. With 34 campsites, 29 with hookup and 12 with sewage. We also have 60 covered stalls, 2 bathhouses and a luxurious cabin with 4 private stalls to rent, a pro sized arena, 3 pavilions and many more amenities. The park has many miles of scenic trails winding through acres of woodlands and canyons, overlooks waterfalls, a restaurant, historical sites and many more points of interest. 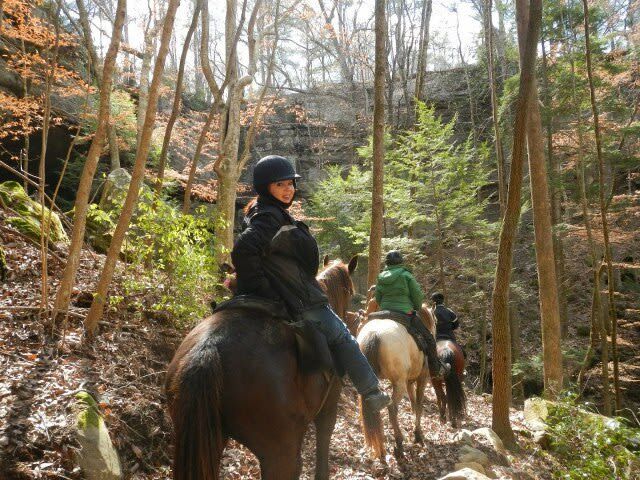 For the adventurous rider we have challenging trails, and for the rider who likes to take it nice and slow we have less challenging trails for a more leisurely ride. 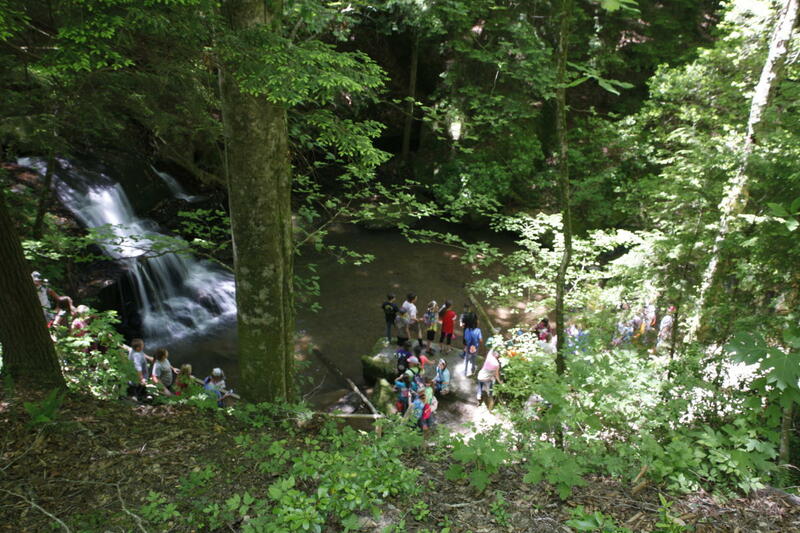 We also offer walking and hiking trails with beautiful waterfalls, where you can relax. Walk across the natural rock bridge, which is 100 feet high and 82 feet long. Experience a breathtaking view 285 feet above the canyon from atop the largest rock in Alabama. You can also see many species of plant life not native to North Alabama.